If you want your people to produce more, you have to help them become more. Dave Ferguson knows that 99% of all employees go to work for one reason and one reason only, and it’s not for their boss, but their paycheck. By publishing his new book, “Boss or Leader” through Next Century Publishing, Ferguson hopes to teach his reader’s how to be that 1%. An internationally recognized executive coach, mentor, speaker, and trainer in the areas of leadership and personal development. Dave Ferguson helps business owners, executives, top management leaders, and political leaders transform how they communicate, connect, and grow as leaders. He also equips individuals, thought leaders, and organizations with high performance solutions to ensure continuous improvement in personal growth and business results. Prior to starting his coaching company, Dave had 20 years of corporate leadership experience in sales, business development, audit, acquisitions, and more. During this time Dave used his no-nonsense leadership approach to coach, mentor, and develop leaders at all levels. Dave assists bosses in becoming leaders and helps leaders build legacies. 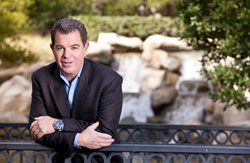 In addition to his own company and clients, Dave is also an Executive Leadership Coach for the John Maxwell Company and Keller Williams MAPS Business Coaching Company. In his first book, Dave Ferguson, cleverly defines the difference between a boss and a leader. In his simple, no-nonsense way, he uses his experience as a leader and as a leadership coach to help business owners decide if they are a boss or a leader, then goes on to coach them on how to grow as a leader. This is a simple, easy to follow, guidebook on how to get employees to follow. It’s not about how to be liked by employees, nor is it how to manage or supervise people. This book is how to become a leader people will respect and be willing to follow. It’s also about developing leaders and identifying potential leaders. NCP is a hybrid publishing company that has carved out a niche by offering a wide variety of publishing services to its clients. At NCP, an author’s needs are assessed and the right publishing platform is suggested based on those desires. From simple E-book publishing to traditional trade publishing, NCP does it all. NCP’s revenues have grown by over 200% in each of the past 3 years. With offices in Las Vegas, Toronto, and Panama, the company is now prepared for another triple digit growth year.